You're in luck, you'll be able to see more of Black Panther, at the very least in the live action films. He is played by Chadwick Boseman in the shortly upcoming Captain America: Civil War and is supposed be have his own movie to come out in 2018. I am a little disappointed with how far I have gotten so far this month... but I have been busy with work lately working extra hours and all. 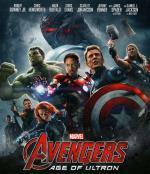 Marvel Studios unleashes the next global phenomenon in the Marvel Cinematic Universe – Marvel’s Avengers: Age of Ultron. Good intentions wreak havoc when Tony Stark (Robert Downey Jr.) unwittingly creates Ultron (James Spader), a terrifying A.I. monster who vows to achieve “world peace” via mass extinction. Now, Iron Man, Captain America (Chris Evans), Thor (Chris Hemsworth) and The Hulk (Mark Ruffalo) – alongside Black Widow (Scarlett Johansson), Hawkeye (Jeremy Renner) and Nick Fury (Samuel L. Jackson) – must reassemble to defeat Ultron and save mankind… if they can! This action-packed adventure is a must-own, mind-blowing blast! This is a very good continuation for The Avengers. I thought all the characters was used well. The film is filled with fun and action. The Ultron storyline keeps your attention with ease. I was never familiar with Ultron before this film...And I thought that Vision came out well. Makes me look forward to the next chapter. This is one I can easily highly recommend. 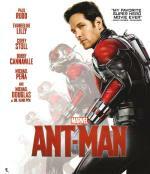 The next evolution of the Marvel Cinematic Universe introduces the newest member of the Avengers: Marvel's Ant-Man. Armed with the amazing ability to shrink in scale but increase in strength, master thief Scott Lang joins forces with his new mentor Dr. Hank Pym to protect the secret behind his spectacular Ant-Man suit from ruthless villains! With humanity's fate in the balance, Pym and Lang must plan and pull off a daring heist against insurmountable odds. Filled with humor, awesome special effects and exclusive bonus features, this action-packed adventure takes you to new levels of pulse-pounding excitement! While I am familiar with the character... I never seen much on Ant-Man before seeing this movie. I never read much comics and the shows I watched as a kid from the '60s - '80s never showed much of him. But I must say... I enjoyed the film very much. I liked all the cast and the character they played. It is a good origin story that is both informative and entertaining. It has plenty of action as well as a few laughs here and there. Definitely recommended. While I haven't seen Ant-Man, I have seen Deadpool. Most other superhero films are falling into the trap to try to be bigger and louder, but then forget to back it up with story. That is why I started to get superhero fatigue last year (Avengers: Age of Ultron) and have no interest in seeing Batman v Superman now (all review I trust say it's mediocre, at best...). However, Ant-Man and Deadpool seem to tell much smaller stories without the need to outdo what came before and as such can concentrate on telling their story much more, resulting in a more focused movie.